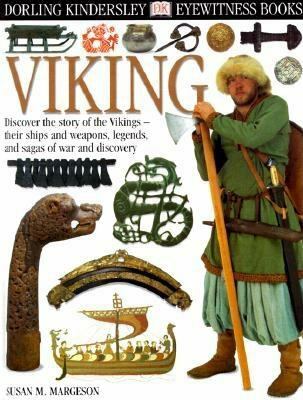 Here is a spectacular and informative guide to the daring adventurers of the Viking Age. Superb color photographs of Viking ships and swords, clothes and shields, memorial stones and beautiful brooches offer a unique "eyewitness" view into the lives of the Norse people and their outstanding achievements. See a Viking battle-ax* the magnificent ship in which a Viking queen was buried* a Viking fortress* a beautiful ceremonial sledge* the tools of a Swedish swordsmith Learn why the goddess Freya cried tears of gold* how longships were made* how Greenland got its name* why walruses were used to make ship ropes* what happened to Thor when he caught the world serpent* how warriors got to Valhalla Discover why Erik the Red had to leave Iceland* how Viking women applied for a divorce* how Viking sailors navigated* what was on the menu at a Viking feast* how to put down an empty drinking-horn* the legend of Sigurd the dragon-slayer and much, much more.Margeson, Susan M. is the author of 'Viking', published 2000 under ISBN 9780789458940 and ISBN 0789458942.